multiple seasons, depending on log size and growing conditions. 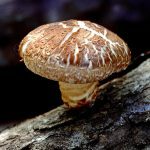 Growing shiitake mushrooms is an excellent use of smaller, under utilized spaces. If no shade is available, our shade cloth canopy will protect the logs from harsh sun. Minimum maintenance is required. All your logs need is an inch of water per week. By “force” fruiting at the proper time, you can encourage earlier harvests. Fruiting time may vary depending on when the logs were inoculated. 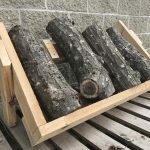 Hardwood logs are inoculated with shiitake plug spawn and sealed with food grade wax to retain the log’s moisture. 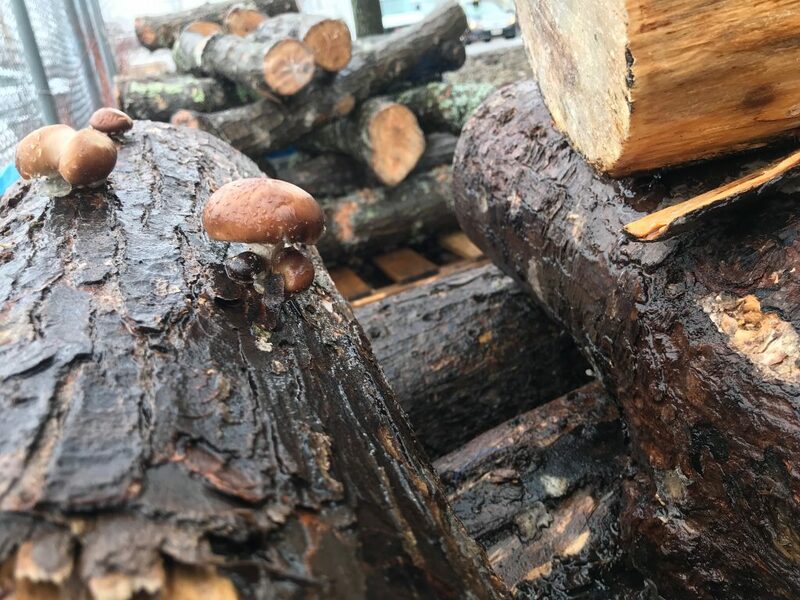 Shiitake mycelium colonizes the log and produces mushrooms on a seasonal basis. You can choose from logs with or without a pallet base, a cedar stand, and a shade canopy. Grow sizable, edible mushrooms in a cedar raised bed with irrigation or alongside your perennial in-ground garden. 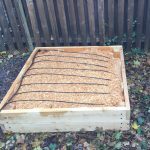 Innoculated wood chip mulch will fruit wine cap mushrooms during your growing season. Wood chip mulch is inoculated with wine cap fungi mycelium. This vegetative portion of the fungus colonizes and “eats” the wood chips. It will not adversely affect existing plants. 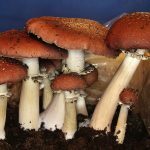 Once the mycelium has run out of “food,” it produces delicious wine cap fruits (aka mushrooms) for you to harvest and enjoy!